Miraget offers you a convenient and easy way to integrate Drupal and Sage with no coding. In the Specific Settings Box, within source input type and select “Commerce Pasargad” extends or plugin. 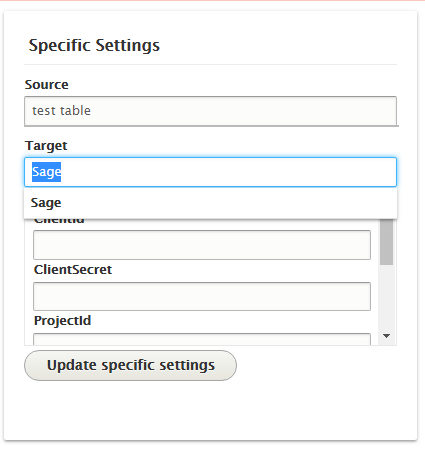 With Miraget you can integrate Drupal with Sage in a number of ways. If you need to load data in one direction, you can use Miraget plugin. For loading data in both directions, Miraget offers powerful data synchronization services.